Bayley has always been a sports guy. 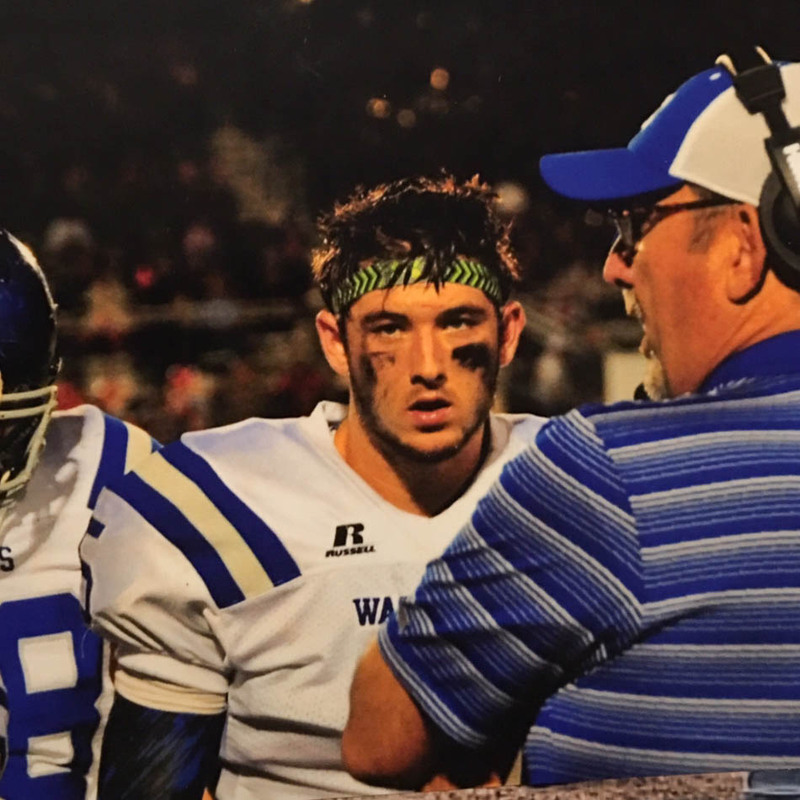 In fact, when he graduated from high school in 2015, his county named him Athlete of the Year. 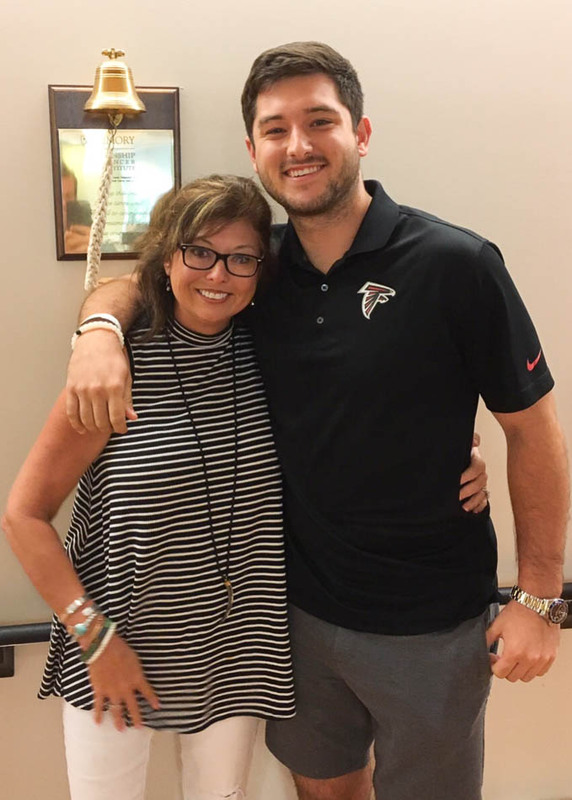 So when he headed off to the University of West Georgia to play football and had trouble keeping up with his new team, his parents knew something was wrong. Sure, college football was bound to be tougher than high school football, but Bayley was feeling exhausted all the time. Doctors said he had strep…or mono…or a sinus infection. Nothing they prescribed helped. Unbelievably, the guy who lived and breathed sports had to quit the football team. But Bayley is nothing if not persistent. 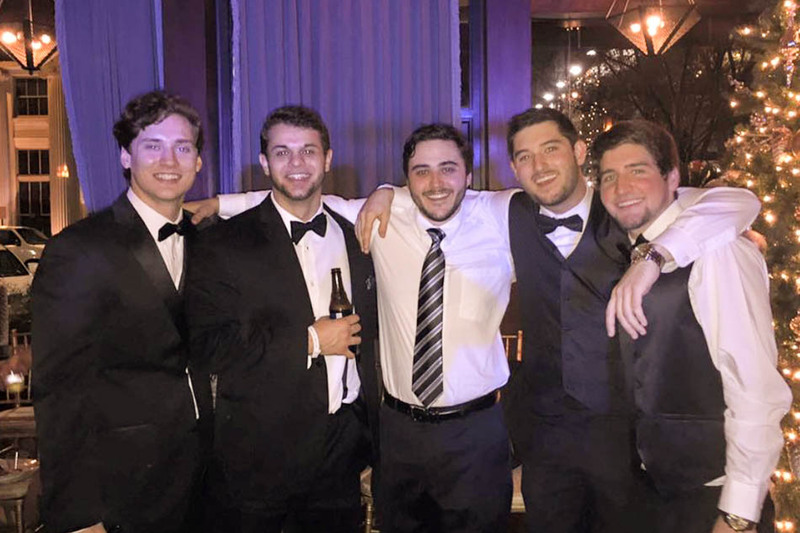 He stayed in school and joined a fraternity – Chi Phi – and even got elected to its executive council. All very good things…except Bayley, despite his wonderful smile, just did not feel right. Bayley hung in there through his first semester of college. His mother remembers that when he came home for winter break, all he did was sleep – 19-20 hours a day. His family had to wake him up to get him to eat. And they were startled to learn he had lost 30 lbs. Still, doctors could not figure out the problem, and the freshman insisted on returning to college. It was not until February that a doctor first raised the possibility of cancer. 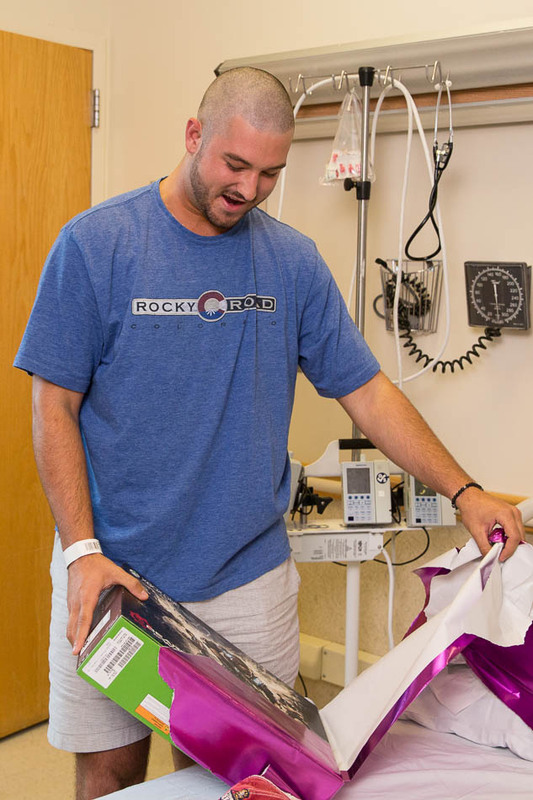 A few weeks later, after a round of tests that included a bone marrow biopsy, Bayley finally got the news: It was leukemia AND lymphoma. 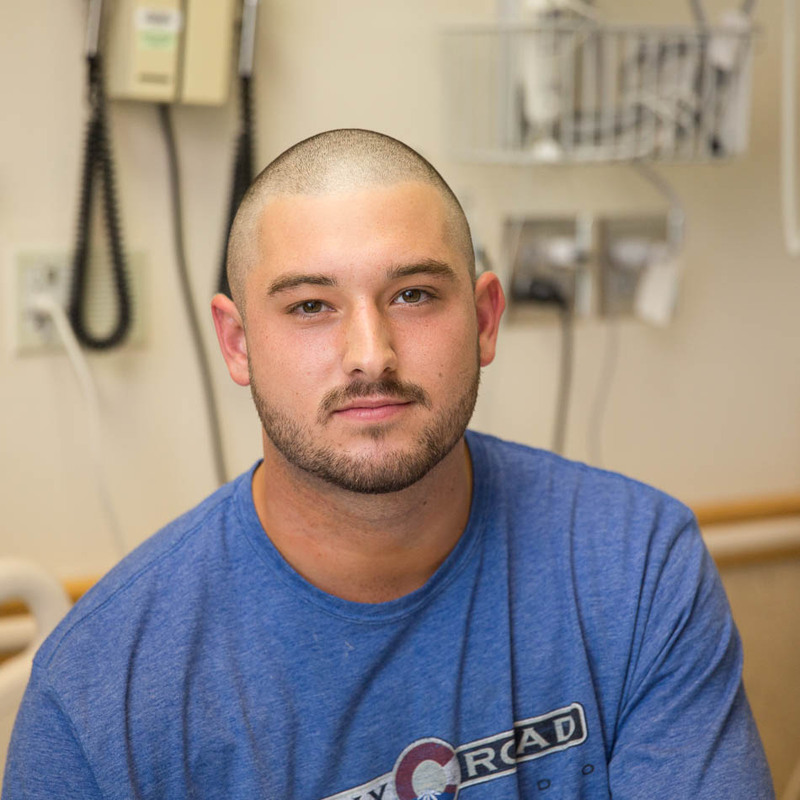 Despite this difficult diagnosis, what Bayley longed for most was to be a normal college kid. So unlike what pretty much anyone else in his shoes would have done, Bayley did NOT quit college. 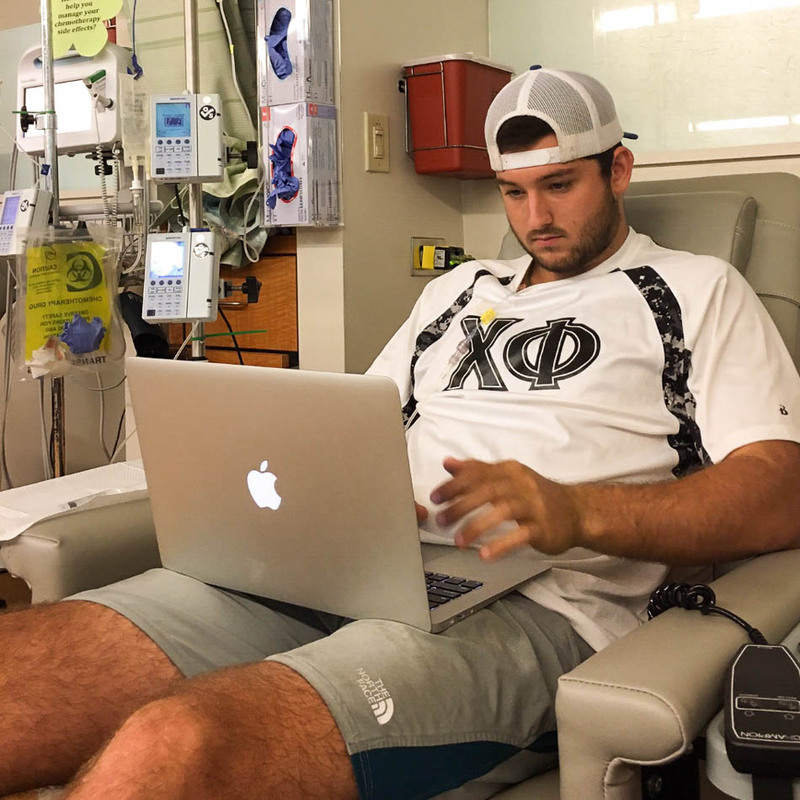 Instead, he switched to online courses and continued his college education right through his six rounds of chemotherapy. And for awhile, things looked good. Bayley went into remission. 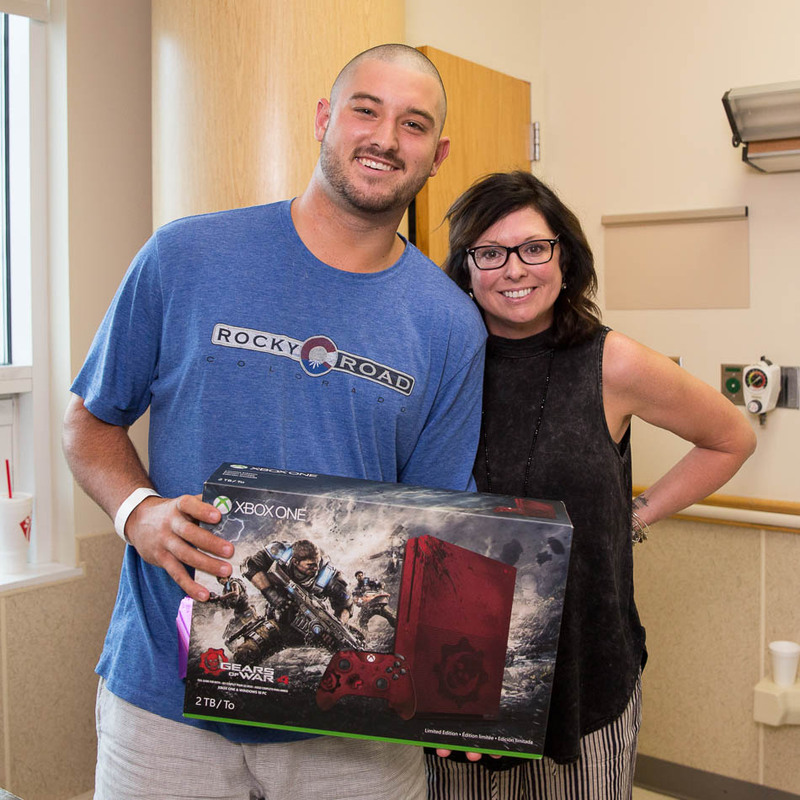 Below is the picture taken with his mom on the day he rang the ceremonial bell, signifying the end of his treatment. Everyone was hopeful that this was it. Bayley went back to college full time this past January. But by spring break, it was clear that he was sick again. And this time, he needed a bone marrow transplant. 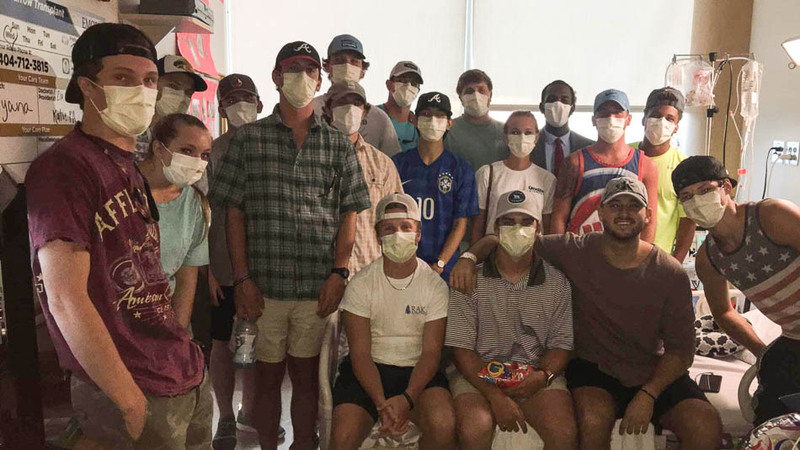 Hundreds of people, including many of Bayley’s fraternity brothers, volunteered to be screened for a match. 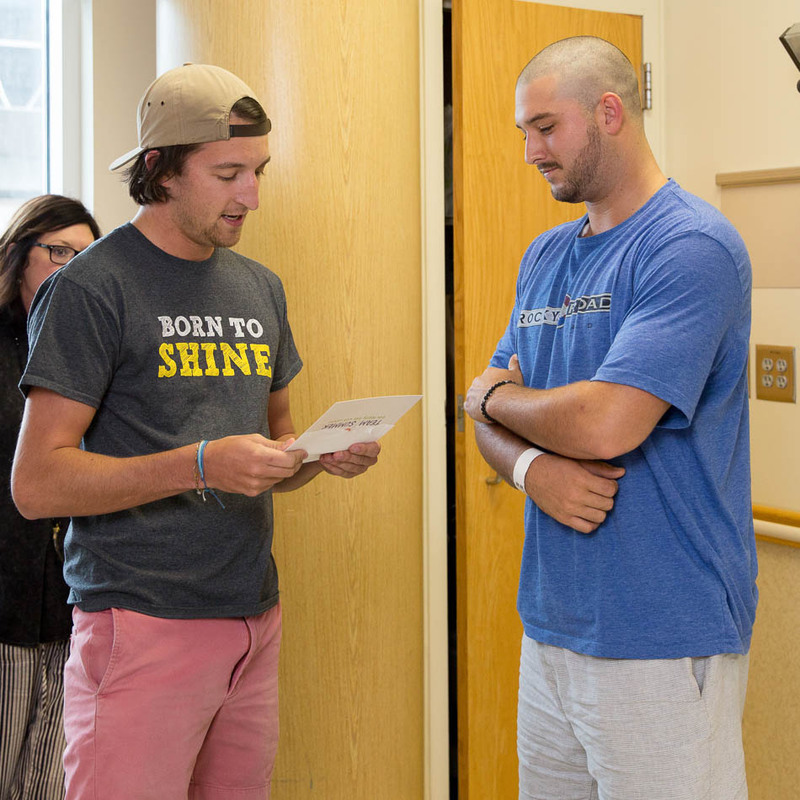 Bayley’s mom told us that the workers at Be the Match, a bone marrow registry, said it was the largest drive on behalf of an individual they had ever seen. Bayley’s match ultimately came from overseas. 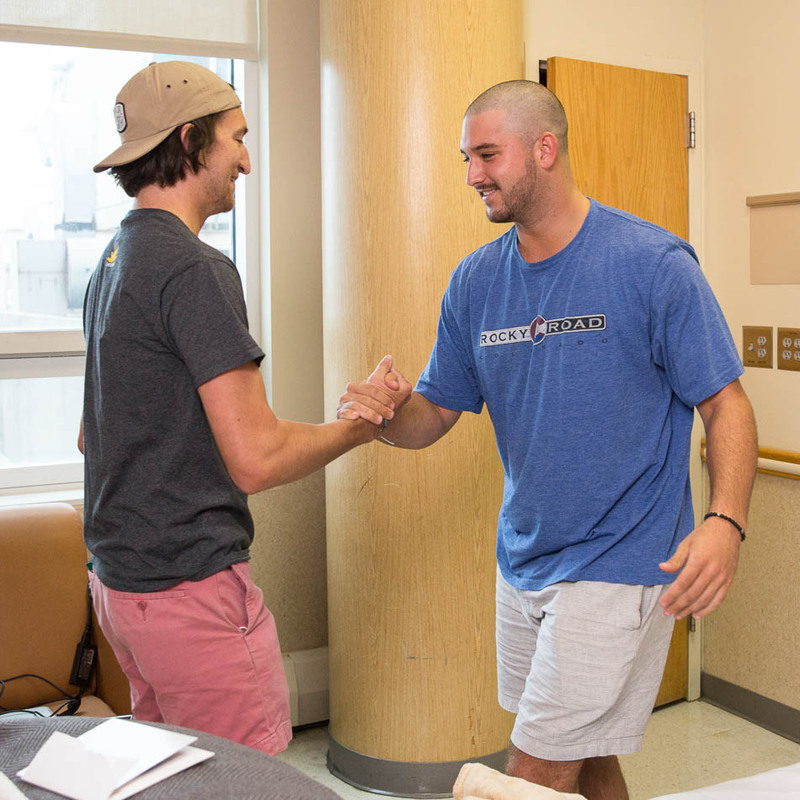 Just before the transplant, Team Summer’s Tyler caught up with Bayley. 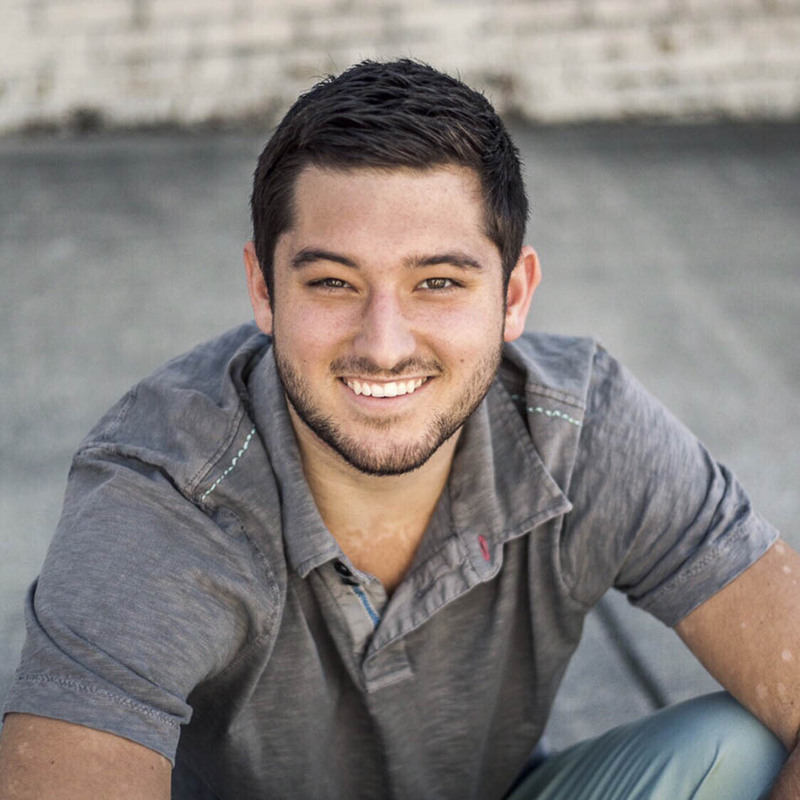 You might remember that Tyler had his college ambitions interrupted after he was diagnosed with Ewing’s sarcoma. Now a healthy college graduate, Tyler was just the inspiration Bayley needed as he faced what was coming. And what was coming – after the bone marrow transplant – was almost a month of near isolation in the hospital. So Tyler gave him a gift designed to be a great distraction! An XBox One(! )…along with some games, a wireless headset, and an extra controller so his fraternity brothers (wearing masks) could play with him! Thanks to donations from wonderful people like you, Bayley was able to escape into the games, giving him hours of relief from his difficult reality. Bayley turned 21 while he was still in the hospital. This picture below is certainly not what you dream of for your 21st birthday party, but it is an indication of how loved this kid is. (He’s the one without the mask!) And stay tuned. Bayley has already nominated two kids to become Team Summer kids! What a great heart! Thank you Robin Gerrard for taking photos for Team Summer!! You’re the best! Do you know a Georgia kid, age 2-21, who is battling cancer? You can nominate him or her to become a Team Summer kid, too. Garrett Jordon lives in Calhoun he is 15 and his treatments are at Emory. His mom is Sarah Brown and she is on fb.